A group of members of Parliament (MPs) is urging the government to consider bringing in a special tax for online shops to help raise money to keep more shops open on the High Street. Tax is money that is paid to the government and used to pay for things like schools, roads and hospitals. At the moment, a lot of High Street shops are having to close because they cannot afford to stay open, as their customers are choosing to shop online instead. The idea is that money from a special tax could then be spent on lowering costs for businesses which have High Street shops and on regenerating towns, to encourage more people to come shopping there, rather than doing it all online. Why do shops divide products by gender? The report by the Housing, Communities and Local Government Committee warns that "ghost towns" could start to appear, where all the shops on the High Street have vanished - and the idea behind this proposal is to stop this from happening. The report also said that landlords, local councils and communities have roles to play to help shops to be able to stay open too. Before the internet, shopping had to be done in person - mainly in shops. 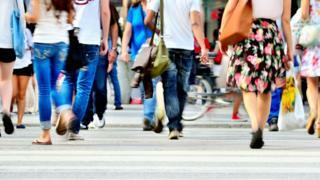 Now, one in five retail sales in the UK takes place online. High Streets Minister Jake Berry said: "High streets are the backbone of our economy and a crucial part of our local communities, and we want to see them thrive - both now and in the future." Where did the High Street come from? Social historian Juliet Gardiner told the BBC: "It was in the 1860s and 70s that the High Street as we know it came about. "Because of urbanisation [when more of the population moved to live and work in towns], people no longer had the facilities to grow food themselves or keep livestock. It was then that market stalls became shops, with fixed prices, customer service and home deliveries to entice people in." Throughout the Victorian era in the 19th Century, there was an increasing amount of industry in Britain, as well as more opportunities for women and children to earn money. Families wanted to spend their money on products they wanted in shops. People wanted to keep up with the latest fashions and having possessions was an important way to prove your position in society. Until the 1870s though, there weren't any laws which guaranteed the quality of goods. For example, butchers could paint their meat with chemicals to make it look nicer and bakers could use sawdust in their recipes to save on using flour! But in the years to follow, all this would change. 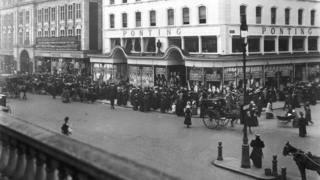 During the Edwardian era at the start of the 20th Century, shopping began to really thrive. It was a more formal, refined activity and smartly dressed shopkeepers would call their customers 'sir' and 'madam'. Laws had also been introduced that ensured the products being sold were a good quality. Department stores began to appear in the 1880s and an increase in advertising in newspapers and on billboards drove shopping even more. 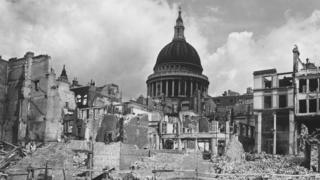 But the High Street was badly affected by World War One and World War Two, as Britain had to spend so much money on the conflicts and towns became unrecognisable. It wasn't until Britain started to have more money in the 1960s that the High Street went through its next boom. Companies were able to produce products on a much larger scale for less money, which brought prices down - and meant shopping on the High Street went up. A law called the Resale Prices Act in 1964 also helped to keep prices down for customers. The High Street market was in a good place. The biggest change to affect the High Street came when something was invented in the 1980s - the internet. As internet and computer technology developed, businesses were able to open up virtual shops online. Customers could buy things more quickly and more easily from the comfort of their own homes, and have them delivered to their door. This became a problem for the High Street. Not as many customers visited individual shops in their local towns. When they did want to go shopping, it was easier to visit big department stores and out-of-town shopping centres. 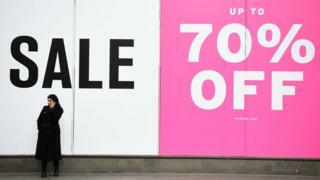 Many High Street shops are having to hold more sales and lower their prices in order to compete with shops online, meaning they are earning less money - which makes it harder for them to stay open. It is a topic that is debated a lot at the moment. What can the government, councils, landlords and the local community do to help High Street shops to stay open in an internet age? Whose responsibility is it? Many towns have been affected by the closure of their High Street shops, and more work continues to be done to work out how to deal with the issue, as this latest report shows. We want to know what you think. Do you regularly visit shops in your local town? Have shops closed in your local area? What do you think can be done to help both shops online and on the High Street to exist together? Let us know in the comments below. There are some shops I really like, and if they didn’t stay open i’d be devastated. Also, people need fresh air, so it’s better to go out shopping then shop online. I normally go game-shopping and, believe me, I got one game for £16 at a local secondhand store when it was supposed to be £55. That's why the High Street should stay.